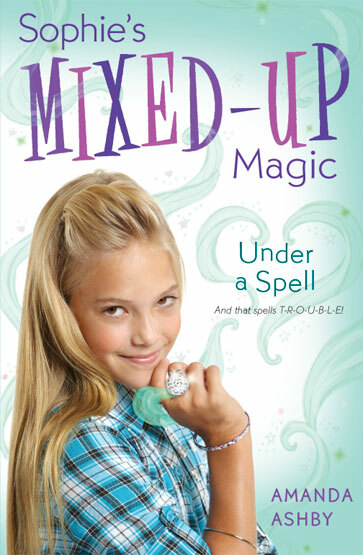 Amanda Ashby has a new middle-grade series called Mixed-Up Magic, which sounds very fun! 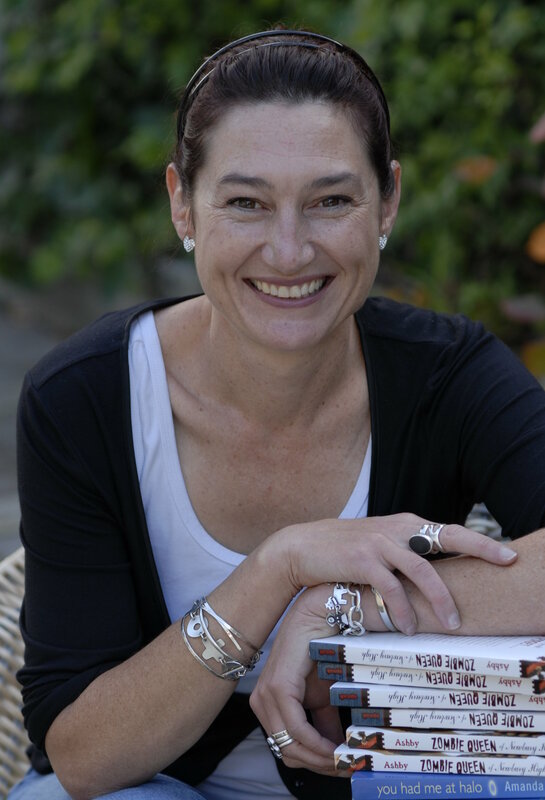 The first two books were released simultaneously on May 30th, and today Amanda answered some Very Important Questions for me about herself and her series! Amanda Ashby: I honestly and truly had NO career aspirations growing up. I just wanted to read books and watch television but my parents didn’t seem to think this was a valid career choice so I went to University and studied journalism, but it wasn’t until I was twenty-eight (truly, I’m not making this up) that I suddenly decided that I wanted to write a book. Looking back, the clues were all there but I just hadn’t managed to piece them together (I’m a slow learner). AA: I loved that movie. In fact I loved all of John Hughes’s movies. I was probably somewhere between basket case and princess. I wasn’t spoilt at all but I could so relate to Molly Ringwald and her lipstick trick! 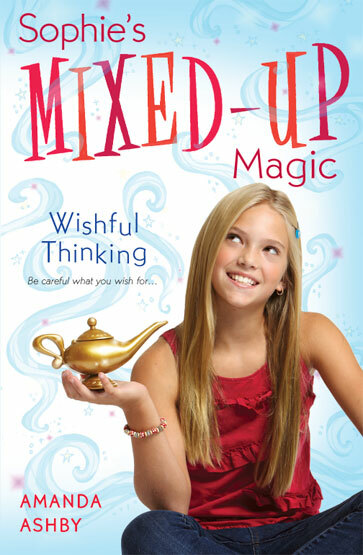 AA: When Sophie gets turned into a djinn, she also gets stuck with a ghostly djinn guide called Malik. He was so much fun to write and he is constantly getting her into trouble. One of my favorite scenes was when Malik read one of Sophie’s history book and was outraged to discover how people think World War One began. He then proceeds to tell her the real reason, which, as it turns out is all because of Moroccan almonds!!!! Beatles because my husband is from Liverpool and not only did I live there for about six years, but one of our houses was just down the road from where Ringo was born (okay, yes, the area was a dump but it was still cool!). I also happen to love Scousers. Their humor is so unique and the idea that those four guys went onto change the world is pretty cool. Though I do have a lot of Elvis love and I might even own a gold Elvis car ornament!